Hello babes... I have seven days in a row without working... no I am not on holidays...but with this weather I woulnd't mind to start to go to the beach already, so I decided to update the blog and bring some new content. The wedding season is starting, so all of us are looking for the perfect piece to wear in the friend's wedding and look amazing and different from all of the other ones... who doesn't like to feel special and the centre of the attentions??? 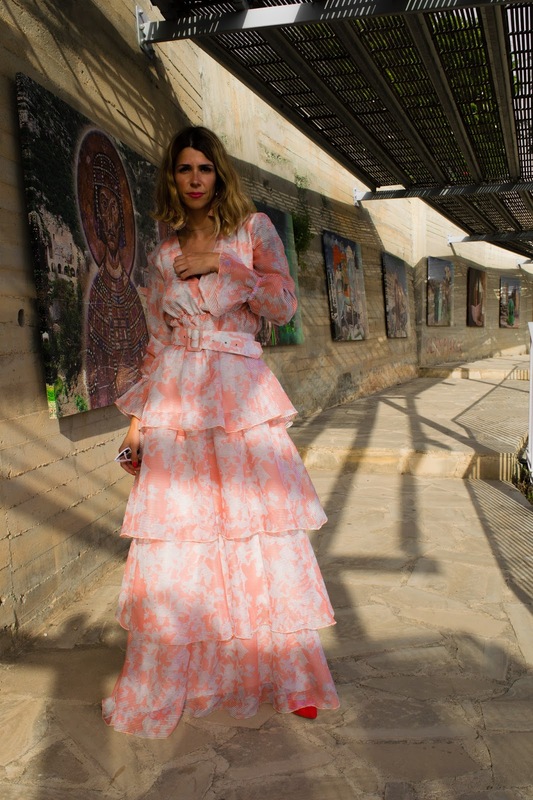 This is the perfect dress, the quality is amazing, is from the brand Milk and White and you can find it on the Dream Pink shop in Paphos. I feel a bit bad that I didn't realised that the belt was falling down, and it doesn't look so good on the photos... but believe the dress is AMAZING. It's perfect for spring because it was the sleeves. You look amazing! Definitely a centre of attention kind of dress.